Dear Peter: A book of ideas, responding to Peter Lewis' request for proposals and continuing generosity in offering to help fund the future development of Northeast Ohio. Please add your proposals and build on others here. Reason for Dear Peter: Earlier in 2004, Peter Lewis offered to provide funding for a proposal to improve Northeast Ohio. Not that he hasn't already done his share - CEO of Progressive Insurance, Peter employs many people in the region, has been a major contributor to our arts and social program, and literally gave us the region's finest landmark building - the Gehry at University Circle - he has offered to do more. Unfortunately, on 11/16/04, Peter explained to area leaders that the proposals he received for the community were not sufficient. Rather than complain about Peter not funding proposals his wisdom rejects, REALNEO is getting the entire community involved to develop for and with Peter solutions that will lead to sustainable development for the region. Add pages to this book with your proposals, and comment on others - no whining... just winning! In the nearly 7 years since its creation, over 500 postings have been listed to the "Dear Peter" category, mostly by me. I use categories to keep my content organized, and use the Dear Peter category to list high level issues and opportunities of interest to high level visitors to the realNEO community, including Peter Lewis. Other realNEO members should feel free to use this and other categories as well. Billionaire Peter Lewis is floating a proposal for an Ohio ballot issue to legalize medical use of marijuana. Lewis, a Clevelander who is head of Progressive Insurance, the nation's third-largest insurer, has given millions over the years to marijuana-related causes. Now he wants to bring the issue to his home state. Through his attorney, Lewis put out a request for proposals to pass an Ohio issue that will "create a model for future campaigns in other states." So, seven years after Mr. Lewis challenged real NEO to be bolder and more innovative in planning our regional transformation, he is extending the challenge Ohio-wide. As I've been advocating developing the cannabis economy in Ohio and America-wide, through commercialization of hemp and marijuana - something Mr. Lewis has historically supported - I have posted scores of articles to the "Dear Peter" category of realNEO addressing Mr. Lewis' current request. My objective was to have this insight well organized for Mr. Lewis and the greater public, when the time came to legalize marijuana in Ohio... as it has. I intend to provide to Mr. Lewis the "Dear Peter" cannabis economy proposals I have developed on realNEO, as per his current request for proposals referenced above. Anyone interested to participate in development of this ultimate GROHIO proposal should feel free to contact me at norm [at] realneo [dot] us. For background, visit the "Dear Peter" category of realNEO to see how far we've come in 7 years, in the eyes of billionaires. And, feel free to speak to real NEO billionaires yourself, through the "Dear Peter" category on realNEO. Someone important shall hear you. In 1965 Lewis became Progressive's chief executive officer after joining as an underwriting trainee in 1955. (His father, Joe Lewis, who died in 1955, co-founded Progressive with Jack Green in 1937.) In the 1960s Progressive had 100 employees and $6 million in revenues. As of 2005, Progressive had grown to 27,000 employees with sales of $13.4 billion and become the third largest auto insurance company in the United States. In 2000 Lewis retired as CEO of Progressive, though he remains as Chairman of the Board. Lewis's approach to business is often unorthodox. For instance, Progressive's headquarters, designed by Bialosky + Partners Architects and built in 1994, includes a health club and a contemporary art collection. Lewis credits these and other unorthodox factors for helping create an environment in which creative thinking thrives—the kind of creative thinking that Lewis says makes a more profitable business. Lewis is a trustee of Princeton University, former chairman of the board of directors at the Guggenheim Museum (resigned January 19, 2005), and serves on the board of the Cleveland Museum of Art. 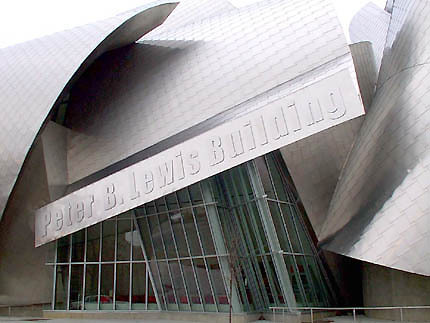 Although Lewis often gives substantial gifts to artistic and educational organizations, he also has a reputation for — often forcefully — insisting that such organizations be financially accountable and financially sound; as of late 2004, Lewis has said he will no longer give to Case or Cleveland's University Circle neighborhood due to poor leadership and management. He has said that those funds might instead be diverted to Cleveland State University. Lewis is an advocate of taxing and regulating the use and sale of marijuana and is one of the main financial backers of the recent, partially successful, campaign to legalize the use of marijuana for medical use in the U.S. In January 2000, Mr. Lewis was arrested and charged in New Zealand for possession of marijuana. Lewis pleaded guilty to three charges and paid a substantial fine, though under New Zealand law he was not required to serve time in jail or prison. According to his lawyer, Marie Dyhrberg, Lewis used the marijuana on the advice of his doctor for pain relief after the partial amputation of his leg in 1998.